Got a home painting project in mind? Maybe you’re itching to update your bedroom wall color? Or maybe your trim and baseboards need a little TLC? 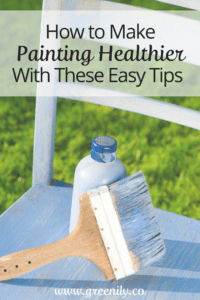 In this post, I’ll help you make some simple changes to your home painting project so you can make sure it looks great AND is eco-friendly. When I agreed – after much negotiation – to help my daughters take on a painting project to makeover each of their bedrooms, one of the hardest decisions was deciding on a color scheme. This led to an even harder decision – what color to paint the walls!! After lots of soul searching (yes, the decision was THAT important to them!) the colors were picked and we were off to the store to get paint and supplies. When we got there it hit me – I should be looking for eco-friendly ways to paint these rooms, right?!! Here is what I learned about how to make some easy swaps for a more eco-friendly painting project. Check out both the video and blog post below! Many paints contain VOCs (a.k.a. volatile organic compounds) which refers to a class of chemicals that easily evaporate at room temperature. When these VOCs evaporate they give off gases that can cause a variety of health problems including nausea; dizziness; irritation of the eyes and respiratory tract; heart, lung, or kidney damage; and even cancer. In addition to polluting our indoor air, they can make their way outside to contaminate outdoor air as well. Yikes!! VOCs are the main solvents in oil-based paints, meaning they are used to dissolve and disperse the other ingredients. Water-based paints use water as the main solvent, but they still often contain five to ten percent VOCs. Many paints labeled “low-VOC” simply meet the EPA’s minimum requirements—which call for no more than 250 grams per liter (gm/l) of VOCs in latex paints and no more than 380 gm/l for oil-based paints. However, there are paints available with even lower VOC levels (0-100 gm/l). To find the VOC level, check the paint can label or with the manufacturer. 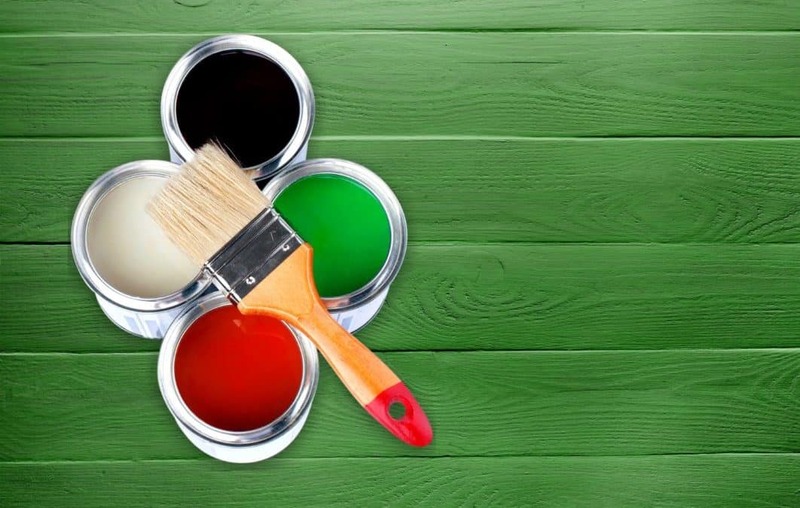 One way to avoid VOCs is to choose eco-friendly paints for your painting project. The safest paints are milk paints and natural paints. Milk paint is made with milk protein (called “casein”) and lime and was actually used in Colonial America – kinda cool! Natural paints are derived from substances such as citrus and balsam, as well as minerals. A more widely recognized type of paint – and what we went with – is latex paint (water based) with very low biocide (used to preserve and extend shelf life) and low VOC levels. Latex paint is safer for you and the environment than oil-based paint. Specifically, we chose the only low VOC option at the store which was Benjamin Moore Natura. It has zero VOCs in its base paint as well as in its tints, which is an important point since some tints themselves may have VOCs. It cost about $8 more per gallon than another non-low VOC quality paint. If you paint with a low or no VOC paint you can just use water and some eco-friendly dish soap for brush and tray clean up since latex paints are water-based. 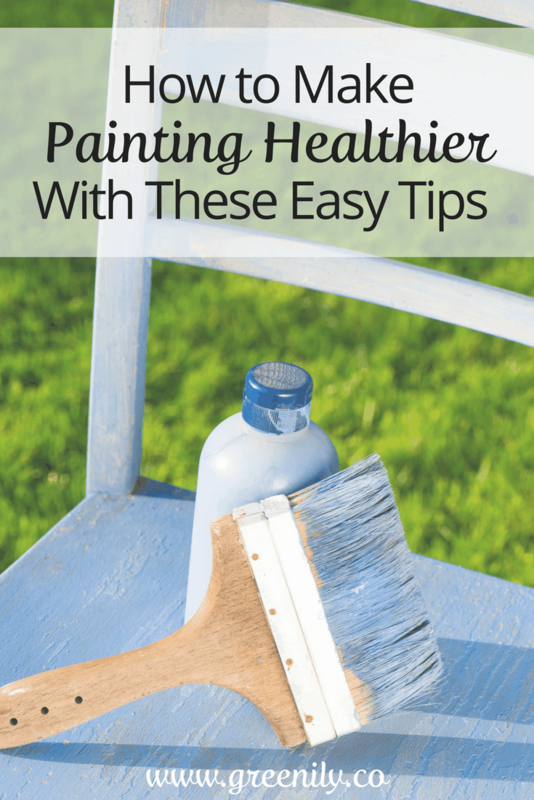 However, if you have to use an oil-based paint you’ll need to use paint thinner to get things clean. 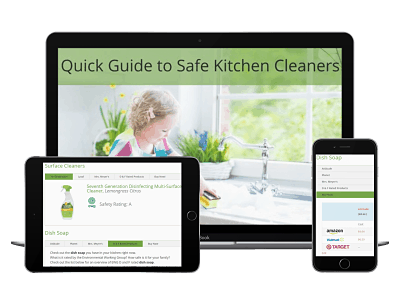 Your best bet is to go for a less toxic thinner that contains citrus oil-based solvents. However, whenever possible stick with latex paints since they are better for you and the environment both during painting and clean up. In general dumping paint down the drain isn’t the best idea – even if it’s latex paint (water based). If you don’t have enough paint in the can to save for future touch-ups it’s likely that for your town, the preferred disposal method is to let the paint in the can dry out for a few days before putting it out with the trash. In the county where I live paint cans put in the trash will actually get recycled (bonus!!). The paint cans are incinerated and the dried paint burns off of the metal can. Steel (including paint cans!) and other metals are recovered from the remaining ash, and are sent to metal processors for recycling! What’s Your Next Painting Project? So there you have it, a quick guide on how to make sure your next home painting project is eco-friendly! I learned a lot in the room makeover process and feel much more informed so I can make greener choices for my family…and the environment! All it took was a little bit of research and a small change in my buying habits! See, it’s that easy to have your family…only greener!! Happy green (or any color!) painting! !